For Honda Subaru Scion Mazda Acura Universal Intercooler 2.5" I/O 25"x12"x3"
Silicone 3-Ply Coupler/Reducer. Surface Finish: Silicone. Back to Top. We only take Cash for pickup. BCP Racing Cold Air Intake Induction Kit. 2012-2015 Honda Civic with 1.8L 4 Cyl Engine. The air intake kit can help your engine to draw more cold air resulting in better throttle response and higher explosive horsepower output. JETTA 1999-2005 MK4 1.8T AUQ / AUM. GOLF 1998-2006 MK4 1.8T AUQ / AUM. 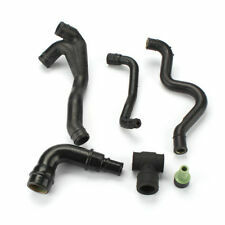 x 6PCS Engine Crankcase Breather Hose Kit. Fitting for the following years and models A3 2001-2003 1.8T AUQ / AUM / ARX / ARY. CARB Approved Under Executive Order (EO) No. Includes anodized black aluminum couplers and all required hardware. Does NOT require any cutting or drilling. Mounts to factory inlets. Filters available in red, white, and now blue. 1999-2000 Honda Civic HX/EX/Si with 1.6L L4 Engine. The air intake kit can help your engine to draw more cold air resulting in better throttle response and higher explosive horsepower output. It's the ultimate performance Air intake Kit. Snorkel Kit to suit Nissan Navara D40 and Pathfinder R51. · Suits 2010 Onwards D40 Navara Dual Cab YD25DDTi Diesel Spain built motor, VIN No: VSK. Nissan Navara D40 / Pathfinder R51. · Suits 2010 Onwards R51 Pathfinder YD25DDTi Diesel Spain built motor, VIN No: VSK. 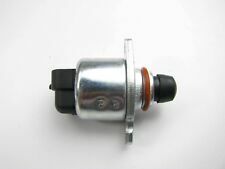 For the Toyota AE86 Black & 20V Silver Top Engines. These Velocity Stacks Are designed for the Toyota AE86 Black & 20V Silver Top Engines will give you that engine roar that you are looking for along with increased torque and HP gains when tuned properly. The Focus ST Ram Air Intake Scoop for 2013-2017 Focus ST allows your intake to receive direct non-turbulent air straight from the front of the car. This direct induction of air creates lower air inlet temperatures by funneling the air directly into the air box, resulting in horsepower and torque increase. Snorkel Kit fits Air Intake Nissan Patrol GQ / Ford Maverick Y60 1988 to 1997 Petrol & Diesel 4x4. Y60 Nissan Patrol GQ. Dummy fit the snorkel to the guard is necessary. 2 Years Limitted Warranty. It covers defects only in main plastic snorkel body part in this product. The Focus RS Ram Air Intake Scoop for 2016-2018 Focus RS allows your intake to receive direct non-turbulent air straight from the front of the car. This direct induction of air creates lower air inlet temperatures by funneling the air directly into the air box, resulting in horsepower and torque increase. STILLEN 2003-2007 Infiniti G35 / 2003-2008 FX35 Z-Tube Without Intake IN STOCK! The factory intake tract on the Infiniti G35 and FX35 was not designed for maximum performance. The 350Z, which shares its engine with these vehicles, is equipped with a much more efficient intake tube that is interchangeable with the G35 and FX35. 5 out of 5 stars - STILLEN 2003-2007 Infiniti G35 / 2003-2008 FX35 Z-Tube Without Intake IN STOCK! 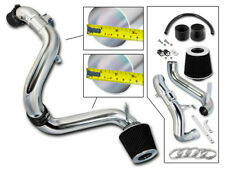 8 product ratings8 product ratings - STILLEN 2003-2007 Infiniti G35 / 2003-2008 FX35 Z-Tube Without Intake IN STOCK! Uni Filter External 'Snorkel' Ram Head Cover. Preclean 43: Suit early Safari & Air Flow snorkel. CATCH CANS (OIL) PROVENT. Automotive Filters & parts to suit all vehicles & machinery. Face L: 150mm / face H: 100mm. Trending at C $28.79eBay determines this price through a machine-learned model of the product's sale prices within the last 90 days. BCP Racing Cold Air Intake Induction Kit w/Heat Shield. 2011-2018 Dodge Durango with 5.7L V8 Engine. 2011-2018 JEEP Grand Cherokee with 5.7L V8 Engine. The air intake kit can help your engine to draw more cold air resulting in better throttle response and higher explosive horsepower output. BCP Racing Cold Air Intake Induction Kit w/Heat Shield. 2009-2015 Dodge Ram 1500 All Model with 5.7L V8 HEMI Engine. 2009-2015 Dodge Ram 2500 All Model with 5.7L V8 HEMI Engine. 2009-2011 Dodge Ram 3500 All Model with 5.7L V8 HEMI Engine. Chevy Camaro Z28 all models with 5.7L LT1 V8 Engine. Pontiac Firebird, Formula, Firehawk and Trans Am all models with 5.7L V8 Engine. This Full Cold intake setup have 3 pieces of intake tubes which will connect all the way from the throttle body to the bottom of the car and will draw more cold air from the fenderwell & increase hp. 1988-1995 Toyota 4Runner with 3.0L V6 Engine. 1988-1995 Toyota Pickup with 3.0L V6 Engine. 1993-1994 Toyota T100 with 3.0L V6 Engine. It's the ultimate performance Cold Air intake System. This air intake can help your engine to draw more cooler air resulting in better throttle response and higher explosive horsepower output. Our CNC bend piping is powder-coated RED to ensure years of use without fading also both end are bead rolled to ensure at high boost level the silicone coupler would not slip off. Any modification to the product will void the warranty. One set of air intake snorkel kit. 1999-2006 Jeep Wrangler TJ. (Fit For Models With Production Date Between 11/1999-10/2006 Only). Made by high quality matte black ABS plastic. Our office hours are. BCP Racing Cold Air Intake Induction Kit w/Heat Shield. 2001-2003 Chevrolet Silverado 2500HD/3500 All Models with 6.6L V8 Diesel Engine. 2004 Chevrolet Silverado 2500HD/3500 All Models with 6.6L V8 Diesel LB7 Engine . Volkswagen New Beetle, Golf, Jetta, GL, GLS, GTI, VR6, TDI only with 1.8L, 1.9L, 2.0L & 2.8L Engine! Also will fit 00-06 Audi TT with 1.8L Turbo and 3.2L V6 Engine! Note : Will not fit 2.0L Turbo or 2.5L Engine! Suitability: Hyundai Terracan Diesel 2004-2006. 2 Years Limitted Warranty. It covers defects only in main plastic snorkel body part in this product. This limited warranty is not transferable. Perfessional installation is required. BCP Racing Air Intake Induction Kit. 1994-2001 Dodge Ram 2500 with 5.9L V8 Engine. 1994-2001 Dodge Ram 1500 with 3.9L/5.2L/5.9L V8 Engine. 1994-1996 Dodge Ram 2500 with 5.2L V8 Engine. 1988-1995 Chevy Blazer/Tahoe Model with 5.7L V8 Engine. 2010-2012 Mazda 3 with 2.5L L4 Engine. Air Intake Induction Kit. This air intake can help your engine to draw more cooler air resulting in better throttle response and higher explosive horsepower output. BCP Racing Cold Air Intake Induction Kit w/Heat Shield. 2010-2011 Chevrolet Camaro 3.6L V6 Engine. The air intake kit can help your engine to draw more cold air resulting in better throttle response and higher explosive horsepower output. 1990-1993 Acura Integra LS RS GS GSR SE Engine. This Cold Air intake kit is compatible with Intake kit will usually increase 5-8 horsepower and 5-8 Torque and fuel efficiency. High Flow Air Filter that is washable and reuseable (DO NOT OIL THE FILTER). 2005-2011 Ford Crown Victoria 4.6L V8 Engine. Clean with any cleaning kit such as K&N or AEM cleaning kit (cleaning kit not included). NOT FIT if your car have After Market Turbo Kit. New Page 1. Hawaii, Alaska, Puerto Rico, Guam, Virgin Island, APO, FPO, AE, and PO Box. Color: RED w/ "Mazdaspeed" Vinyl Decal. This is our poly-blend mud flap kit complete with hardware & instructions. Although these poly-blend sheet. BLOX RACING. The BLOX Racing performance air filter kit also includes a race proven composite velocity stack and silcone hose kit. Kits are dyno-proven to increase horsepower and torque. Kit includescomposite velocity stack, filter, and silicone hose kit. Many car and truck owners upgrade their vehicles to achieve optimal performance. One way to obtain this optimal performance is through adding in aftermarket air filter parts and features. One option for an add-on accessory is the cold air intake, commonly seen on trucks. What is a cold air intake stem? A cold air intake stem is a part that brings cold air into the vehicle's internal combustion. The stems can increase an engine's performance and efficiency. 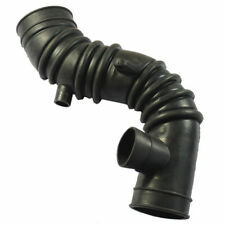 Cold air intake systems can be made from a variety of materials, such as metal, silicone, plastic, and rubber. 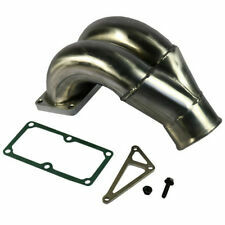 This style of intake system is€available in many different styles and shapes. What are the different types of air intake stems? Cold air intake systems:€A cold air intake system€pulls the cold air from outside of the bumper or wheel well and transfer the cool air to the engine.€Cold air intake€can be complicated to install because part of the intake must be installed from underneath the vehicle. Short-pipe intakes: These pull and filter hot air from within the engine compartment and transfer it directly to the engine. These are the simplest intakes to install. Ram air intakes: These air intake systems are designed to be at the front of the car or truck. Ram air intakes pull cool air from the bumper area and pressurize the air as the vehicle goes faster. These are slightly similar to the cold air intake systems. How do you install an air intake stem? Determine the exact make, model, and trim style of your vehicle. Research the different types of intakes and find one to suit your needs. Park your car in a well-lit and spacious area; wait for the automobile to completely cool. Unplug the car battery and terminals. Remove the original intake system. Be sure to hold onto the old part in case the new one does not fit or is not functioning properly. You will need to re-insert the old piece to drive your automobile and get a new part. Follow the manufacturer's instructions and install the new part. Re-install any sensors that were removed with the old piece. Check to make sure the new part is installed properly and is secure. Re-attach the battery terminals; positive first and negative second. Test drive your automobile to ensure the new piece is working properly.